As an unpaid caregiver for your relative, finding time for yourself can prove difficult, leading to exhaustion, burnout and stress. This is why it is so important that you do not neglect your own needs. Follow these tips to achieve the life balance and rest that will improve not only the quality of your life, but the quality of the care you give as well. Do not allow yourself to drift away from family members and friends due to time constraints imposed on caregivers. A strong support system is crucial for dealing with the stress that accompanies caregiving. Make attempts to socialize and get out of the house on a regular basis, even if it is just for a one-hour lunch or a bike ride with a friend. While spending time with loved ones is important, it is equally helpful to talk and exchange stories with people who share your caregiving experiences. Knowing that others have gotten through it successfully is encouraging, and the possibility for making new friends exists whenever you take part in any group or activity. Do not neglect your medical needs, whether that means regular doctor’s visits or maintaining a healthy diet and getting regular exercise. An ill caregiver is an inefficient caregiver – so by maintaining your own health, you will inevitably provide better care to your loved one. Allowing professional caregivers from companies like ComForcare to take care of your loved one will enable you to have a life, regardless of whether the professional caregiver works part or full time. 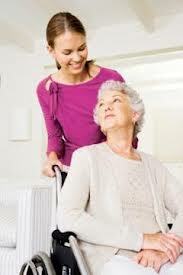 You can dump the guilt and rest assured that your loved one’s needs are in the hands of a trained professional.